After beginning his career as a photographer, Geoff Steven was one of the key forces behind 1975 experimental film Test Pictures, only the second feature shot in New Zealand that decade. Since then his work has crossed between the art gallery, the cinema and the small screen, before reinvention as a TV executive, and a return to his photographic roots. After leaving school in hometown Auckland, Steven kicked off an extended OE which included time in Sydney, Japan and Dublin. Along the way he worked in fashion photography, and took stills for movies that were shot at Ireland's Ardmore Studios. 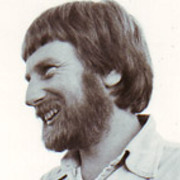 Steven returned to Auckland early in 1970. Tiring of commercial photography, he campaigned for the idea of a filmmakers' co-operative. Alternative Cinema was born on 2 October 1972, with Steven as first president; he also wrote articles for the monthly magazine of the same name. Alternative Cinema's secondhand editing equipment and 16mm cameras gave many the chance to make their first films, including Caterina De Nave and David Blyth. In his book Transnational Film Culture in New Zealand, Simon Sigley argues that Steven represented "the arrival of the hippie counterculture" on the Auckland filmmaking scene. Steven screened avante-garde films made by the Sydney Filmmakers' Co-op, while his own films showed a willingness to experiment. He also made submissions on censorship, and Alternative Cinema "annoyed the politicians and lobbied for a Film Commission". Eventually Steven was asked to join an Arts Council Working Party, which drafted an outline of how the commission would work. In 1970 Steven and art dealer Barry Lett directed a short silent film about painter Don Binney. Over the next five years Steven lent his camera skills to a wide range of shorts. Many were directed by members of Alternative Cinema. Some screened on television, including Offerings to the God of Speed, Roger Donaldson's 1972 documentary on DIY racer Burt Munro. Steven also helped keep food on the table by making commercial films with colleague Philip Dadson, under the title Seehear Films. In 1975 the two were key players on feature Test Pictures. Exploring the relationship between a couple living in an alternative community, the experimental feature was shot on a budget of only $14,000. Steven is credited as cameraman and editor (the film has no directing credits). Test Pictures screened at film festivals in Auckland, Wellington and Iran, and won controversy after receiving an R18 rating (scenes from Test Pictures can be seen near the start of Cowboys of Culture, Steven's documentary about the 70s renaissance of Kiwi cinema). Inspired partly by cinema vérité documentaries, Steven was keen to make documentaries "of more substance". Learning of plans for a protest march by northern Māori, he proposed the idea of capturing it on film. The result was Te Matakite o Aotearoa (1975), about the legendary land march led by Whina Cooper. Steven writes about making it here. The following year he made an experimental installation at the Auckland City Art Gallery, Aspects of a Small Town (1976) whose three-screen format up offered three different angles on Raetihi. With a script development grant from the Arts Council, Steven began working on his first feature Skin Deep (1978), which became the first local feature to get (partial) funding from the NZ Film Commission — then known as the Interim Film Commission. Steven directed, from a script co-written with Roger Horrocks and Piers Davies (in this period Steve formed company Phase Three Films, with Davies and frequent collaborator John Maynard). Skin Deep chronicles a small town's reaction to the arrival of a masseuse from the city. The Listener called it intelligent and perceptive, "a geninely subtle local feature, which scores its pits by parable and a sly, creeping wit that builds gradually towards the overtly outrageous rather than leaping in boots and all". Variety labelled it "New Zealand's long-awaited break-through film." Skin Deep premiered at the 1978 Chicago film festival, and was selected for a new directors' showcase at New York's Museum of Modern Art. Follow-up Strata (1983) was another film built around a distinctive location: this time the volcanic landscapes of Tongariro National Park and White Island. Leaving Kiwi traditions of realism far behind, the moody tale follows a group roaming a barren landscape. Strata had script input from Czech film legend Ester Krumbachova (Daisies), and features a rare score by Kiwi jazzman Mike Nock. Between Skin Deep and Strata, film-making took Steven around the world. In 1979 he set off on a 15,000 kilometre journey through China, alongside cameraman Leon Narbey and Listener scribe Geoff Chapple . The result was two documentaries: Gung Ho - Rewi Alley of China, in which the Kiwi-born Alley remembered his 50 years in China, and The Humble Force, a portrait of the country's recent emergence from the Cultural Revolution. Steven followed his Chinese sojourn by making a number of one-off documentaries for television, including his first film on tattooing. His 1980 documentary on Bert Potter's Centrepoint community showcased his observational, open-ended approach. Steven threatened to take his name off the credits unless he was permitted to show scenes of 'encounter' style psychotherapy; the debate went as high as the Director-General of TV1, before Steven was allowed to show his cut intact. Steven went on to travel to Samoa, Japan and the United States for Signatures of the Soul - Tattooing Today, which traces the history of tattooing. Steven scored a coup by signing countercultural legend Peter Fonda (Easy Rider) to present. The documentary went on to win best documentary in the arts and humanities section of the 1985 San Francisco Film Festival. Steven would later return to the States to direct the six, hour-long episodes of series American Pie, in which Passionless People author Gordon McLauchlan set out to move beyond stereotypes by talking with real Americans. It would be wrong to imply Steven was only interested in shooting images beyond New Zealand shores. In the decade leading up to his 1990 documentary on the Kiwi film renaissance, Cowboys of Culture (which he also presented), Steven also made a doco on the cross-cultural collision that lay behind 1935 movie Hei Tiki (Adventures in Maoriland); showcased a series of haka performances on-screen (in Haka - A Musical and a History); and traced the story of transgender icon Carmen, using fantasy sequences to illustrate key moments in Carmen's life. Throughout the 1990s and early 2000s, Steven enjoyed a successful career as a television executive and commissioner for TV3 and later TVNZ. He is credited with helping to commercialise the documentary format. His motto was "No more castor oil documentaries!" and his tenure coincided with the arrival and promotion of reality TV and infotainment. Steven also commissioned the long-running Ice TV, Popstars — which would become an international phenomenon — and helped commission feature films Once Were Warriors, Scarfies and Stickmen. Since leaving TVNZ, Steven has concentrated on art photography, and now leads a team of photographers who contribute to the Our Place - World Heritage Project, a photographic databank of UNESCO World Heritage Sites.